Fast Facts: In 1963, Stanguellini completed a streamliner called the "Colibrì" (Italian for hummingbird), powered by a 250cc Moto Guzzi motorcycle racing engine. This car set six international speed records at the Autodromo Nazionale Monza in 1963. A Stanguellini won the Vanderbilt Cup in 1960 at the Roosevelt Raceway, New York. 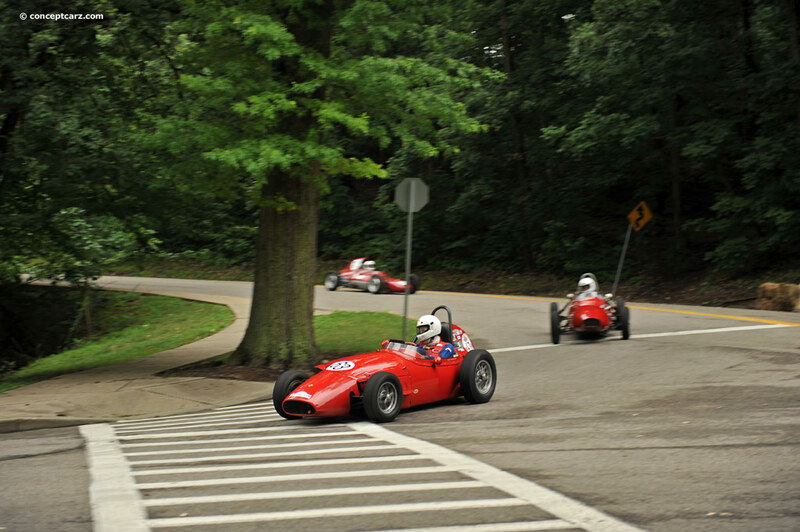 The Vanderbilt Cup was run as a Formula Junior race in 1960. Automobili Stanguellini is an Italian maker of small sports cars, based in Modena and founded by Vittorio Stanguellini; it was most active between 1946 and 1960. They continued to produce competition cars until 1981, when Vittorio Stanguellini died; thenceforth, the company devoted to vintage cars. Vittorio Stanguellini began tuning and modifying Maserati, Alfa Romeo and Fiat cars for racing. He was a friendly rival of Enzo Ferrari in Modena beginning in the late 1920s. Vittorio then formed Squadra Corse Stanguellini in 1938 and quickly found success when he modified a Maserati 6CM which took the overall victory at the 1938 Targa Florio. Stanguellini's cars competed in countless sports car racing events, minor and major (such as the 1957 24 Hours of Le Mans) alike. Vittorio Stanguellini used his experience tuning Fiats in the pre-war days, and having raced them under the Squadra Stanguellini flag, he based his small racers on Fiat components. Focusing on the 750 & 1100 cc classes (winning numerous National victories), Stanguellini sports cars were beautifully engineered cars with light-alloy cylinder blocks, twin overhead camshafts (bialbero) and dual side-draught Weber carburettors. This would add up to a claimed 60 bhp (40 kW) at 7500 rpm from the 741 cc sports engine and 90 bhp (70 kW) at 7000 rpm from the larger engine, providing top speeds of around 180 km/h (110 mph) and 190 km/h (120 mph) respectively. Unlike many other of the so-called "Etceterinis", Stanguellini were loath to use foreign parts, instead relying on Fiat as much as possible. Bodywork was usually by local Carrozzeria Reggiano. Vittorio Stanguellini tried very hard to gain a win at the 24 Hours of Le Mans. However, with his limited resources, he never was able to achieve this. His best finish was a fourth in class. Read more about: 1959 STANGUELLINI MONOPOSTO JOINS US IN 2016! We still working on this one folks, Stop back soon….